Good. Signed. Connecting readers with great books since 1972. Used books may not include companion materials, some shelf wear, may contain highlighting/notes, and may not include cd-rom or access codes. Customer service is our top priority! Very Good. 1681622629 Minor shelf wear. Very Good. 1681622629 signs of little wear on the cover. Fine. 100% Money Back Guarantee. Brand New, Perfect Condition. We offer expedited shipping to all US locations. Over 3, 000, 000 happy customers. Trade paperback (US). Glued binding. 464 p. Continuum Trilogy, 3. Intended for a young adult/teenage audience. Fine. Sewn binding. Cloth over boards. 464 p. Contains: Illustrations, black & white. 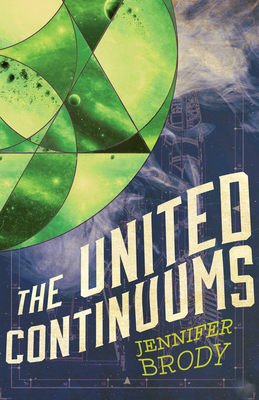 Continuum Trilogy, 3. Intended for a young adult/teenage audience. In Stock. 100% Money Back Guarantee. Brand New, Perfect Condition, allow 4-14 business days for standard shipping. To Alaska, Hawaii, U.S. protectorate, P.O. box, and APO/FPO addresses allow 4-28 business days for Standard shipping. No expedited shipping. All orders placed with expedited shipping will be cancelled. Over 3, 000, 000 happy customers.